This week, from the 14th-18th July, we’re celebrating authors. The idea is we all blog about some aspect of writing, and then everyone can hop along to as many blogs as he/she likes to see what everyone else is writing about. AND – there’s a giveaway – a lucky winner will be sent a brand new copy of The Cold Cold Sea! But first of all I’m going to answer a question I’ve been asked many times in the past year – How did you come to start writing? So I joined the Brownies, and one of the first things I did after enrolling was – my writer’s badge. 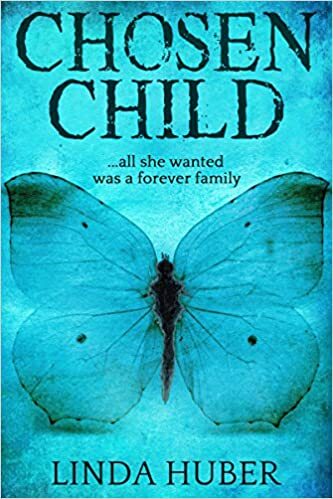 I had to write a story (I wrote about a girl called Susan who lived on a farm), a letter, and there might have been something else too, I can’t remember. What I do remember is the fun I had writing about Susan on the farm. It was enough just writing them. To be able to hold my books in my hands is an absolute dream come true and I can never say thank you enough to everyone who has made this possible. And now – the giveaway! 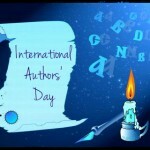 On Friday 18th I’ll choose – at random – a name from a list of those who comment on this blog post, or ‘like’ the #IAD post on my Facebook author page, or retweet my #IAD tweet. I’ll announce the lucky winner on Friday afternoon, and they can contact me with their postal address via the blog contact above, and I’ll do the rest! This entry was posted in The Writing Life and tagged #IAD. Bookmark the permalink. Thank You for joining in the celebrations for IAD! Thank you too – I’m off now to see what the others are blogging! Good luck in my Giveaway! Hey Linda! We have Brownies here in the States, too. If I remember right from when my daughter was a Girl Scout a few years back, that’s what they’re called when they’re junior scouts. And I, too, wrote awful poetry in high school. Haha! Thanks for sharing! Hi Shelley! I think a lot of English-speaking countries have Brownies etc of some kind. I live in Switzerland, and here if you say ‘brownie’ people expect cake! 🙂 I wish now I’d kept the stuff I wrote as a teenager – it would have been good for a laugh, if nothing else! Great post. I’m English and believe me the introduction of American brownies was a godsend. Love the squishy chocolaty thing. It’s always fun to hear how another author got started. I got an award in school for reading the most books but never joined the Brownies. Writing started for me in high school. I always had a book under my nose too – and I still have some of them! They’re not in quite such good condition now, but they’re part of my life. Your books look fun! Interesting. I grew up in Scotland where Guiding is widespread, but there are none here in Switzerland. We do have a large girl/boy Scout movement, plus other similar organisations for children of all ages. Brownies here mean chocolate cake! Thanks, and same to you for yours here in . . .
13 days?! Is that right? Publication day is 1st August! 🙂 Two weeks today! 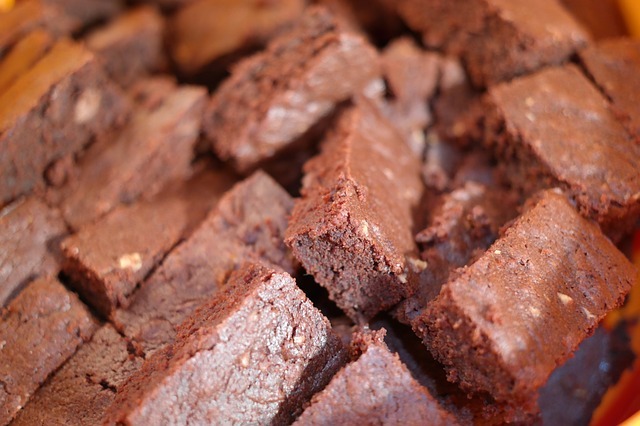 Thanks for sharing your story–and that picture of the brownies. Those almost look like fudge. YUM! Like the trailer for The Paradise Trees. Did your publisher help with making it? Oh, I love fudge too and good fudge is very hard to find in Switzerland! I made the trailer for The Paradise Trees myself (with the help of the book…). It was the second book trailer I was involved in – my son did the one for The Cold Cold Sea first, with me helping/learning, as my IT skills are non-existent. For that one, I gathered the images and music and wrote the text, and he put it all together with MovieMaker. The Paradise Trees trailer is less complicated as there are no video sequences, but I did it alone, and if I can, anyone can! Do you make them? I can send details of where we downloaded the content etc if you like.